The Junior League of Wyandotte and Johnson Counties annual Community Ball has been growing rich with tradition for sixty-eight years. The following is the history provided by Mary Bates, first Ball Chairwoman, of how our tradition began. JLWJC member Virginia Speck attended a similar function in another area of the country. She presented the idea to our Junior League and the Ways and Means Committee took the concept and ran it from there. Tickets were $5.00 and every JLWJC member was required to purchase one ticket. The Ball was held in the Junior Ballroom at the Townhouse Hotel at Seventh and State Avenue in Kansas City, Kansas. JLWJC member Nadine Dingle was in charge of decorations and she brought back pine boughs and greenery from her mother’s home in Colorado. Dorothy Alexander was the choreographer. 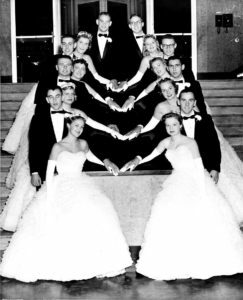 In 1951, the Junior League selected the first beneficiary of funds raised by the Ball. That year a flood destroyed the printing business, which was to print Argentine High School’s yearbook. Funds raised from the Ball enabled the school to afford another printer to produce the yearbooks in time for distribution at the end of the school year. In the early years, guests enjoyed only dancing. According to JLWJC member Jeanne Foster, no meals were served until the 1970’s. 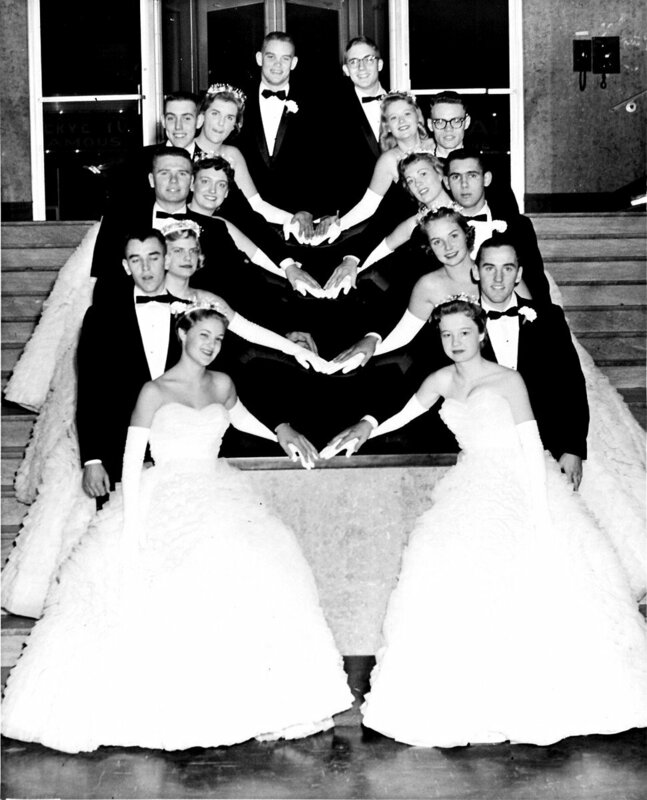 In the beginning, the Cotillion honored both juniors and seniors. The JLWJC Community Ball and Cotillion has been held at the Jack Reardon Civic Center, the Muehlbach Hotel, the Alameda Plaza Hotel, and the Westin Hotel. In more recent years, it has been held at the Kansas City Marriott – Downtown. This event has grown not only in attendance but also in the number of students honored at the Cotillion. The Junior League of Wyandotte and Johnson Counties in Kansas appreciates your support as we continue the tradition of our annual Community Ball and Cotillion. For more information contact communityball@jlwjc.org.